Motorcycle helmets are vital protection for riders who are exposed on all sides and unprotected from the weather. Moreover, helmets provide protection when riders end up in a collision with another vehicle. While there is no guarantee that a helmet will always save a motorcyclist’s life in the event of a crash, there have been several research studies conducted that provide evidence that states that do not have mandatory helmet laws have greater rates of head injuries for motorcyclists. 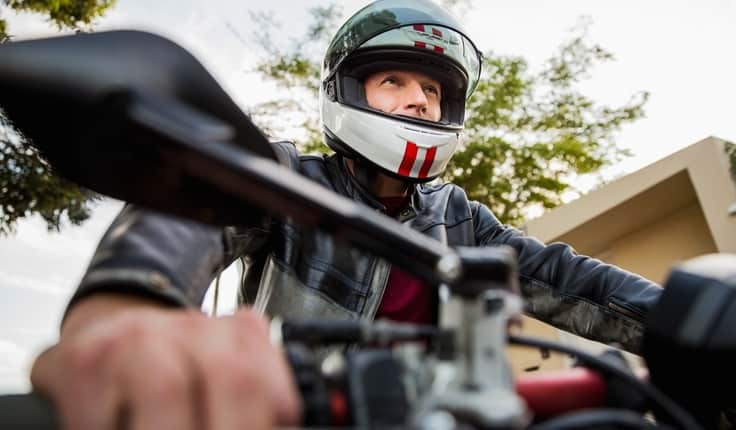 A National Transportation Safety Administration (NHTSA) study found motorcycle helmets to be about 37% effective in preventing fatalities, which means that an estimated additional 1,158 additional motorcyclists would have died had they not been wearing a helmet. As helmet use declines, fatalities increase. At Yeboah Law Group, we are here to represent South Floridians who have sustained serious injuries in motorcycle crashes that were the result of someone else’s negligence. Our Fort Lauderdale motorcycle accident attorneys are also here to fight for the rights of our clients who may not have been treated in a fair manner by insurance companies, some of which still have a negative bias against motorcycle riders. What are the helmet laws in the United States? What are the helmet laws in Florida? Florida requires motorcycle helmet use for riders under the age of 16. Riders between the ages of 16 and 21 may be allowed to ride without a helmet, depending on the type of motorcycle and how fast they are going. If you are over the age of 21, you do not need to wear a helmet as long as you have at least $10,000 worth of medical insurance coverage in case you sustain an injury: FL Stat § 316.211 (2016). The laws can be confusing to read, so contact us if you have any questions about helmet use, or about the amount of insurance you may need. Saferoads.org reports that all-rider motorcycle helmet laws increase helmet use, decrease deaths and injuries, and save taxpayer dollars. Motorcycles are the most hazardous form of motor vehicle transportation says the NHTSA. Per vehicle miles traveled, motorcyclists were more than 26 times more likely to die in a traffic crash than the occupants of passenger cars. Motorcycle helmets reduce the risk of head injury by 69% and the risk of death by 42%. Will I be able to get compensation if I was not wearing a helmet when I was injured in a motorcycle crash? Motorcycle helmet laws can only go so far. It is up to everyone to decide if they value their life and safety enough to wear a helmet when they ride. Motorcyclists are aware that every time they ride they run the risk of a serious crash. If you think that wearing a helmet makes your head sweaty, feels uncomfortable, or whatever your favorite complaint is, think about how it might feel to be in intensive care fighting for your life because of an injury that could have been prevented or made less severe by wearing a helmet. When you have suffered a serious injury in a motorcycle accident, you are missing work and facing mounting medical bills, you make the smart decision to pursue compensation from the person responsible for your injuries. At Yeboah Law Group we understand how motorcyclists are not always treated fairly when it comes to assigning fault in an accident. We invite you to call us now at 1-800-TELL-SAM or complete our contact form to schedule a free consultation to discuss your case today. We are proud to serve clients in Fort Lauderdale and throughout South Florida.